13 ½” X 19” serigraph print--contemporary design. 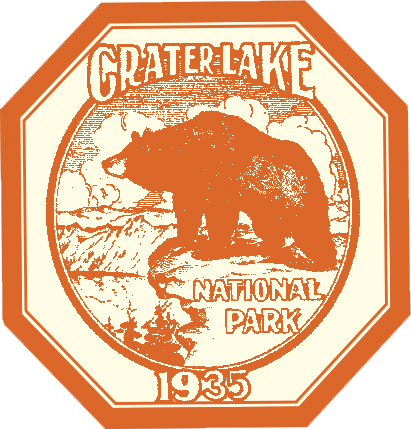 Formed in 1902 under the Teddy Roosevelt administration, Crater Lake is America's fifth oldest national park. 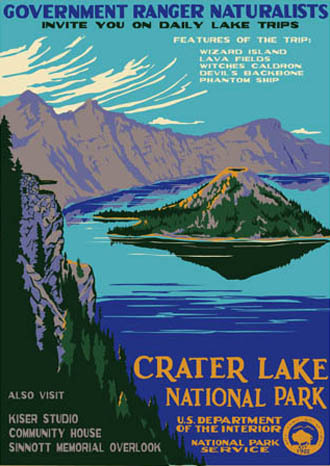 The lake is one of the deepest in the world at 1943' caused by the cataclysmic eruption of Mt. Mazama over 7000 years ago. The Sinnott Museum shown on the left was the first museum building built in a national park and the first building built in Crater Lake.